The use of the eyes in traditional Tai Chi Chuan is an often misunderstood or even unknown element of training in many schools. So then, what is the importance of the eyes in the training of Tai Chi Chuan, and how does one train the use of the eyes? This article will focus on the use of the eyes in order to build a strong foundation based upon the principles of movement in the beginning stages of training. The proper usage of the eyes will help unite the mind and body. The eyes assist in training the body to move in the right manner according to the principles of Tai Chi Chuan. Generally, the body will turn towards the direction in which the eyes look out towards. In fact, if you are looking straight forward or in the wrong direction then the eyes may actually even be a detriment to the proper turning of the waist which we want to achieve in our practice of Tai Chi Chuan. I was taught to follow the movement of the lead hand, then as the movement is finishing, “head up and look far away” as I was often instructed to do. Now, depending upon the specific style and intent of the move, what may be the lead hand for some may not be the lead hand for others. Basically, the lead hand is the hand that is “leading” the direction of the movement. As the weight shifts into the right leg to allow the left leg to empty for the step, the right hand drops, circles out and up to the right. When the step is completed and the left heel touches the ground the right hand should have circled up to the area by the right side of the head (height of the hand will vary depending on style). The eyes will follow the movement of the right hand as it circles out and back closer to the body. As the weight shifts into the left foot, the right hand and arm drop in front of the right chest and then releases away from the chest with the palm forward. The eyes will follow the movement of the right hand until the weight has shifted approximately 3/4 of the way forward at which point you look far away in the direction of the right hand. One thing to note is that when the eyes are looking in the direction of the hand, they are not focused on the hands itself. The area of focus for the eyes is just beyond the the hand, and slightly ahead of the direction in which the hand is traveling. You are not focusing on one point, but rather it is a soft focus of that area. So then the the focus is in the direction of the movement of the hands, and not the hands themselves. While the eyes follow the lead hand, the other hand is not forgotten. Try keeping both of the hands within the peripheral vision of the eyes. With training, the following of the hands become more of a mental focus rather than visual. When they eyes look far away, they look beyond the person that may be in front of you, past the wall that is behind them, and past the buildings and hills beyond that! This method will help to train the body to move in a more unified manner. The use of “whole body” movement is one of the hallmarks of traditional Tai Chi Chuan. By following the movement of the hands with the eyes, it allows a process that starts to train the mind-intent. The eyes connect with the movement, the mind connects with the eyes, and with time the mind connects with the physical movement without the need of the intent of the eyes. Some might argue that you should train to never take your eyes off your opponent, even an imaginary opponent while doing the slow form, and that this method violates that rule. I would argue that such an opinion is short-sighted. Using this argument, then one should not practice slowly either as slow movement would not be effective in a fight. The slow movements of the traditional long form are a method of training the body to move according to the Tai Chi principles and the methods of using the eyes in this manner are part of this training. If you watch old films of some of the masters, sometimes you can catch them still doing this training of the eyes on some movements, maybe even looking down at the hands. As one gains more experience and matures in their training of Tai Chi Chuan, the movement of the body becomes unified. 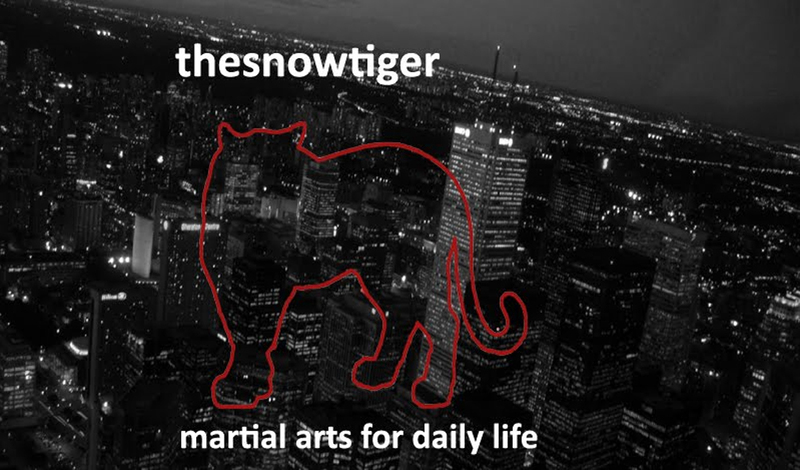 The practitioner acquires what is known as a “Tai Chi body”. At this stage the body and the mind begin to be united. The waist starts to turn as needed for the movement at hand. The following of the hands with the eyes is not so important at this stage, as the mind intent is now trained. This becomes very important for when you will use your Tai Chi Chuan as a martial art. Even so, if you watch films of some of the old masters, sometimes you can catch them still doing this training of the eyes with some movements, maybe even looking down at the hands. The Tai Chi martial artist does not want to take his attention away from their opponent. 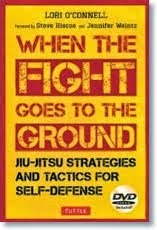 It would certainly not be a good idea to focus on the direction of your hand movement in a fight situation. When the practitioner of the traditional styles of Tai Chi Chuan journey through the training syllabus of their styles, all the different elements of the training syllabus take into account the training towards proficient martial skills and work together to achieve that goal. Yang Zheng Ji wrote about the usage of the eyes in his family’s Yang style of Tai Chi Chuan. Here is a section from his book on the Yang style about the usage of the eyes. To see the full translation about the usage of the eyes in Yang style Tai Chi, click here to view the article. Yang style Taijiquan is very particular about the method of using the eyes. Tradition has it that when Yang Cheng Fu pushed hands or engaged in combat, when emitting jing would look at the opponent and the opponent on receiving the strength would fall in the direction which he looked. Looking at Yang Shao Hou’s precious image, his eyes appears to have brightness shooting forth, this is a result of long term training fully concentrating on the eyes as well as the internal qi. How can the eyes help? It is more than just having the direction you look towards helping to guide the movements of the body. Using the eyes in the proper method will also help you remain consistent in keeping the focus of your attention on the training of your movements with having less distraction from your practice. 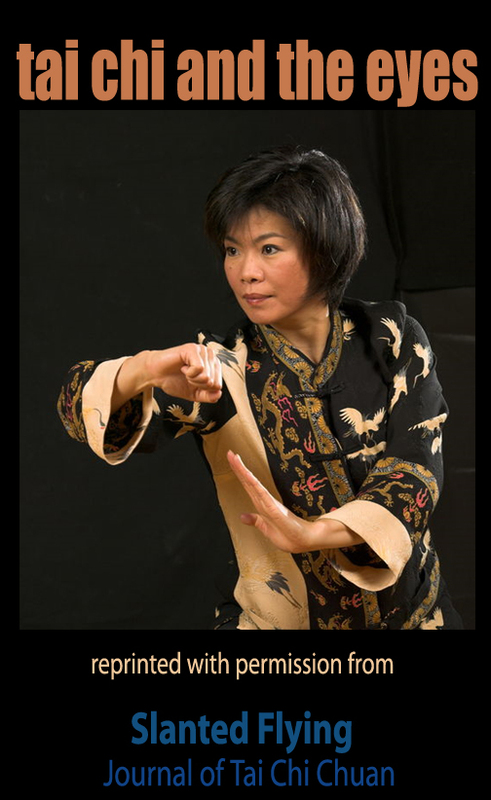 The use of the eyes in this method is essential in building the connection of the mind intent, the mind leading the body, and ultimately a higher level of achievement in Tai Chi Chuan.